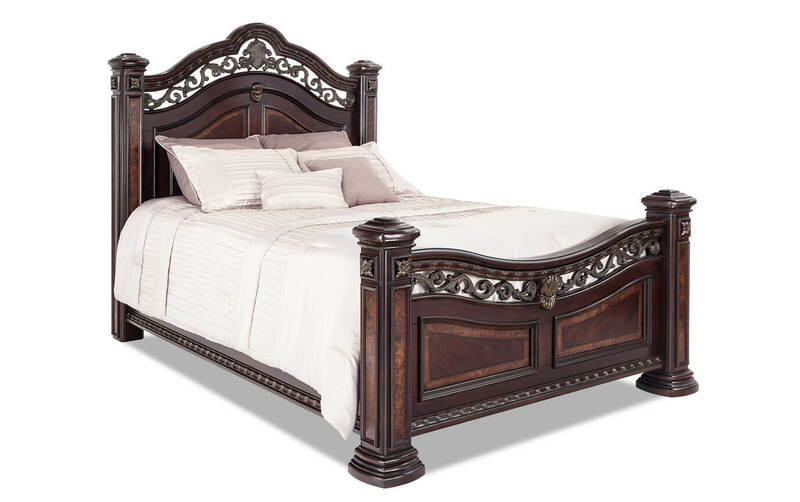 Create a focal point in your bedroom with this traditional bed. 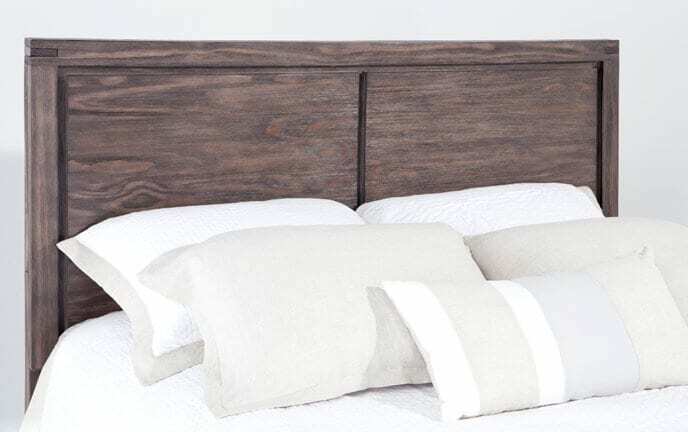 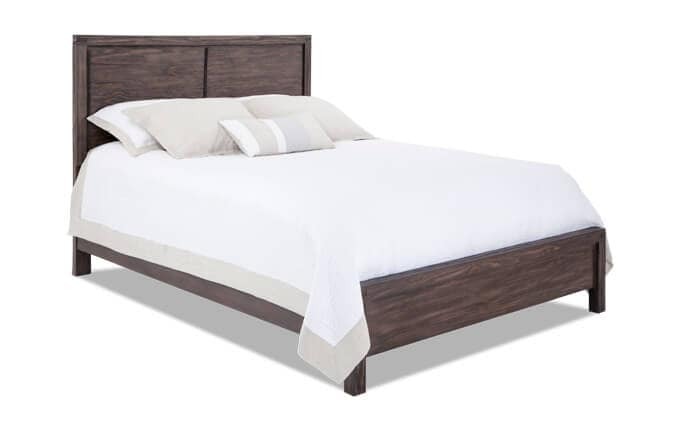 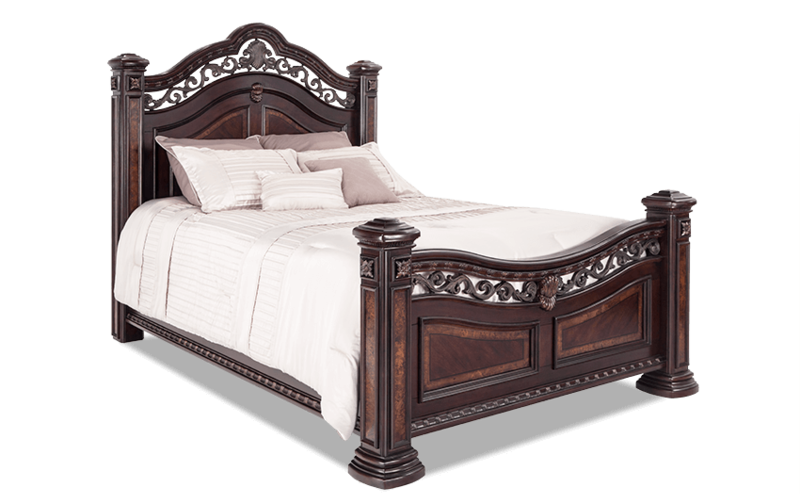 Elevate your bedroom style with my Grand Manor Bed! 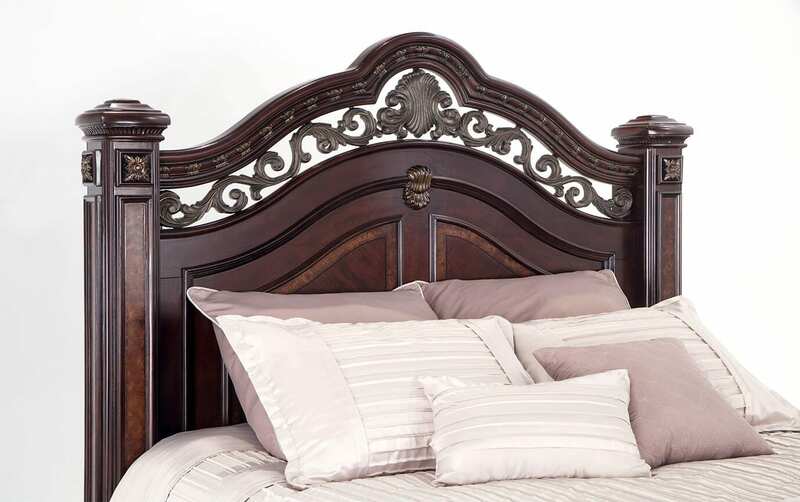 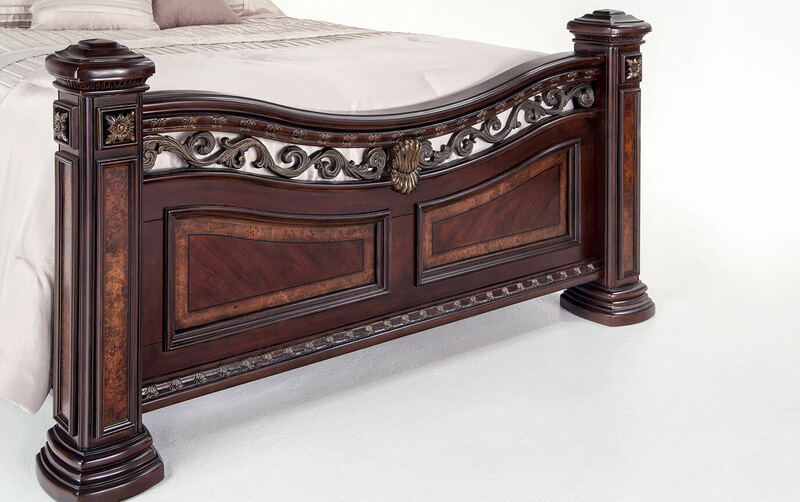 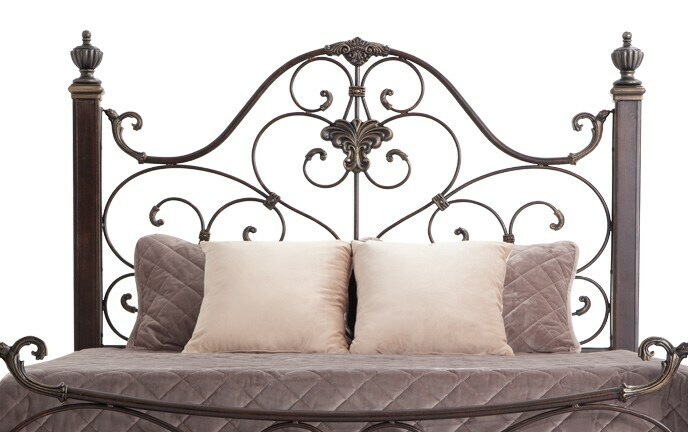 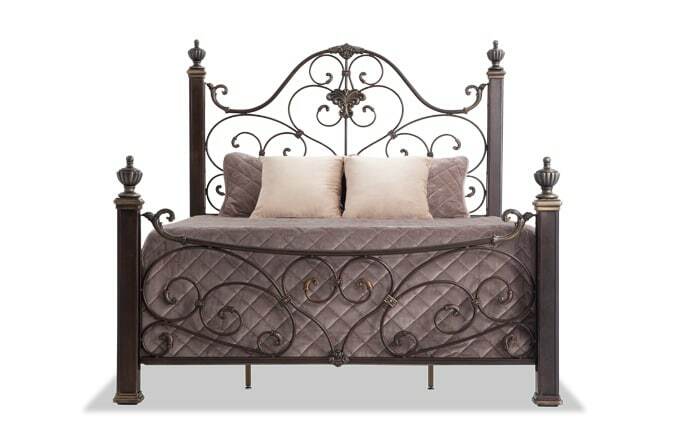 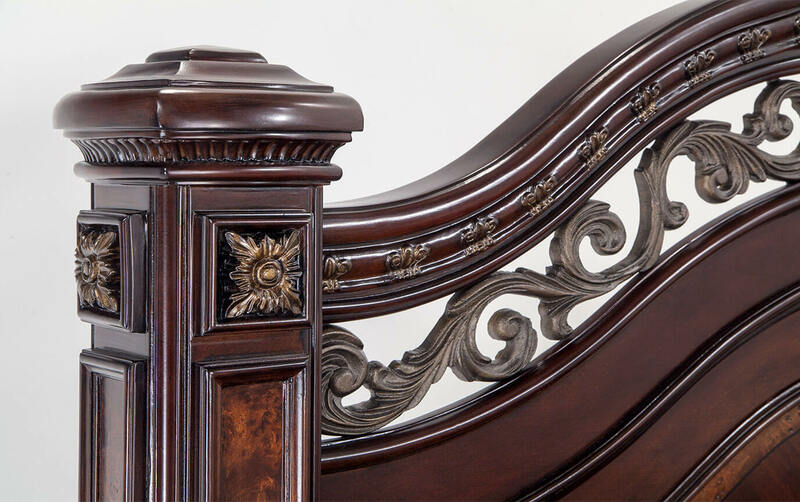 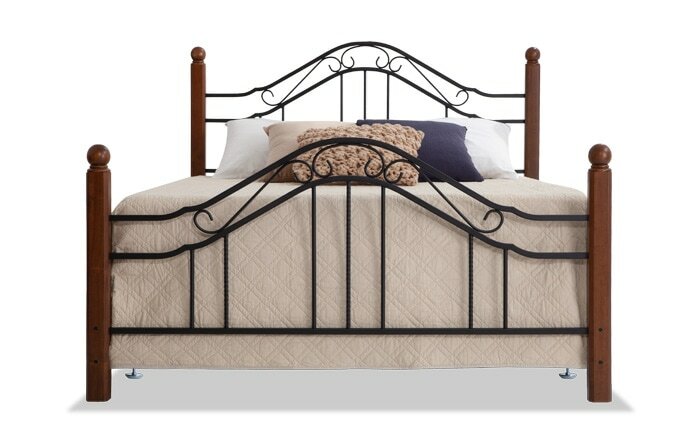 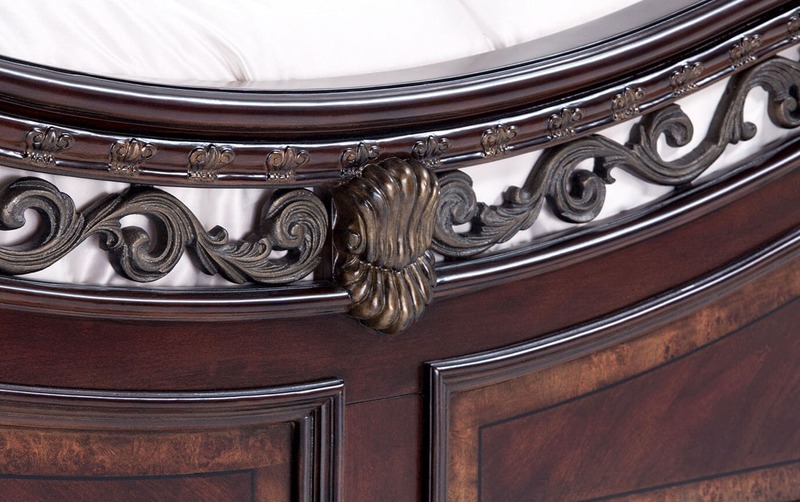 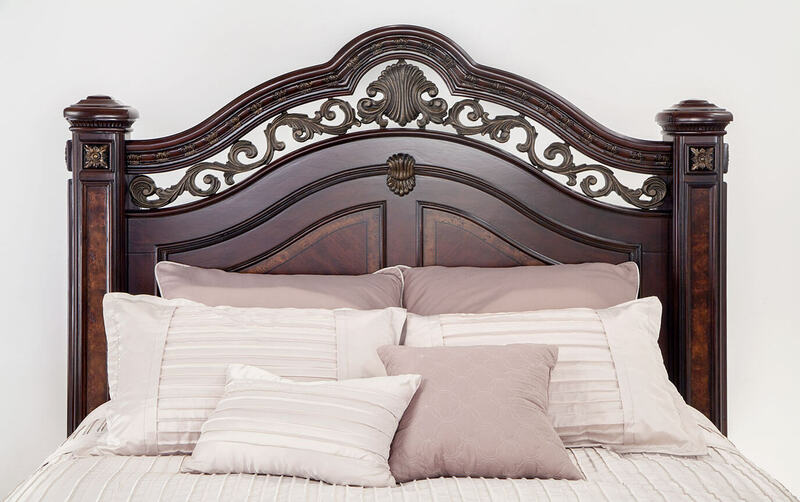 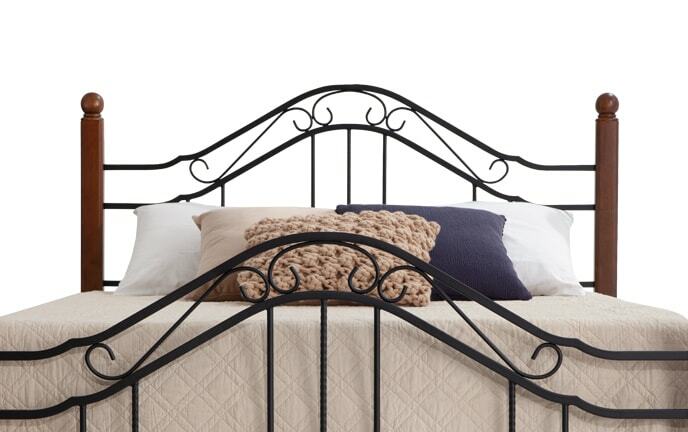 A rich cherry finish and antique brass metal ornamentations give this embellished bed an upscale look.